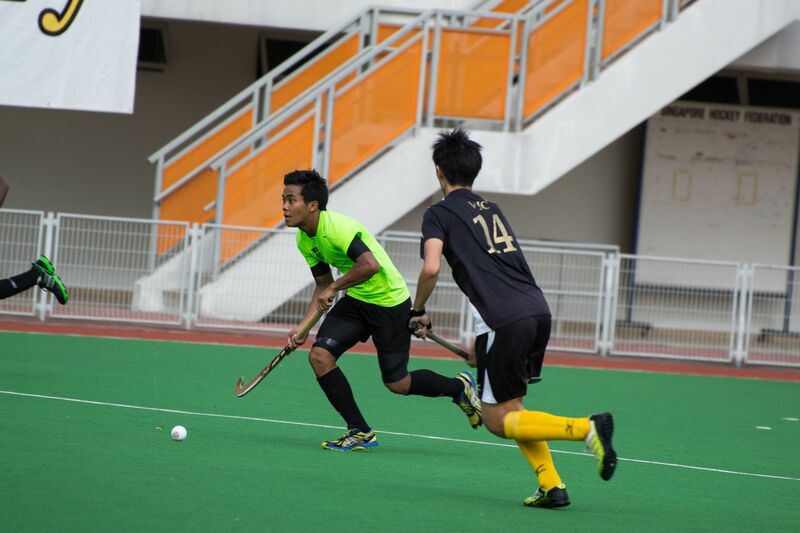 Having won 2-1 in last year’s finals against Victoria Junior College, the RI Hockey boys’ team set out to defend its title last Thursday. 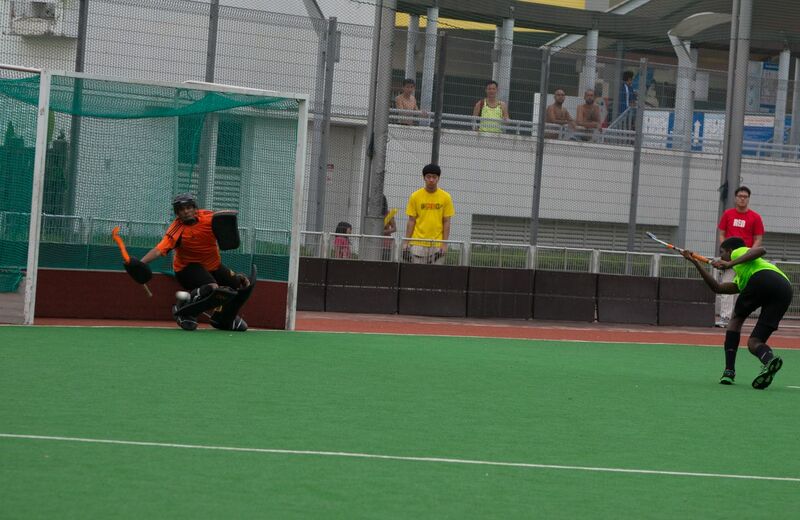 RI’s endeavour looked promising since the team had triumphed over VJ in a friendly match earlier this year. RI had its opponents under control for most of the game. The players attacked and defended as though they had a full team even when they were three men down in the second half, a result of harsh decisions made by the referees. Three of their key players were sent off within a span of two minutes for minor infractions, whereas the opponent seemed to get away lightly with their fouls. Venu scored a goal in the first half, to the delight of his teammates and us supporters. However, the referee disallowed a second goal because of obstruction of the first runner by RI players, bewildering spectators who thought RI was 2-0 up. Jesse lamented after the match that this decision came without sufficient explanation and a chance to demand for one. Cheers from the Victorian crowd were overwhelmingly thunderous compared to the relatively passive Rafflesians due to a significant difference in numbers, but the hockey boys remained intensely focused on the match. While VJ had a reputation for strong short corners, converting almost all of them into goals in previous matches, the RI side valiantly fought back all their attempts and kept the scoreline clear. Even as frustration was building up on the VJ side, a lucky break for them led to RI conceding a goal in the last two minutes of the match. With the score tied at 1-1, the game went into extra time. The exhaustion experienced by the players was evident as they made use of every rest opportunity to stretch. Several players had to rely on team members to relieve the cramps in their calves even while the game was ongoing. Tired as they were, they pressed on and performed to the best of their abilities. Disappointed but not discouraged, they fought back and the score remained even for the entirety of the extra time. The game ended and it was down to the shootout, something they were unprepared for and did not expect. In the shootout, Venu and Benjamin managed to flick the ball into the goalpost and Hakeem, the goalkeeper, successfully denied one of the flicks from the VJ side. However, this was not enough to claim back the golden trophy as players from the VJ side strategically aimed the flicks right above the keeper, while two RI players made mistakes and failed to convert the flicks into goals. With two misses by RI, the VJ team knew they had won, immediately rushing to hug and celebrate with each other. VJ supporters from the stands sprinted onto the pitch to join in the celebrations. 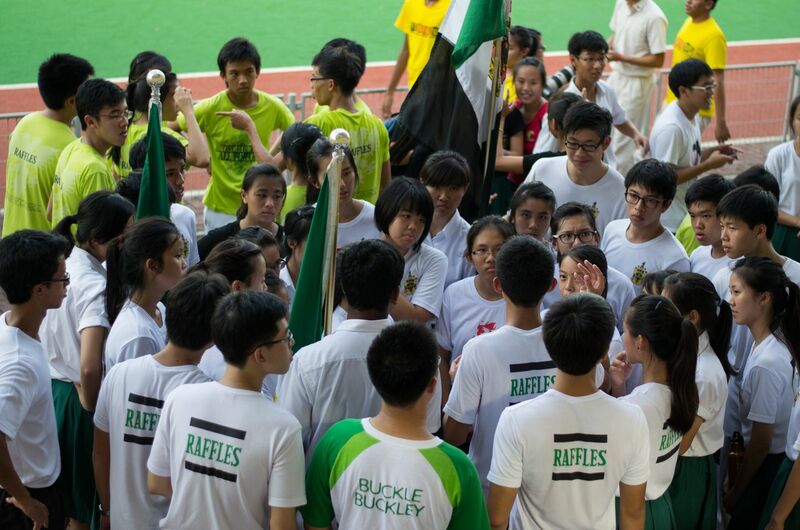 It was a solemn moment for Raffles, as we, students, teachers, councillors, cheerleaders, all stood sharing the pain of the disappointed players on the field. For a long time, we did not budge. Eventually, we slowly made their way onto the pitch to console the team and show our support. Even as we sung our Institution anthem, we knew that nothing would make up for the deep anguish they felt. 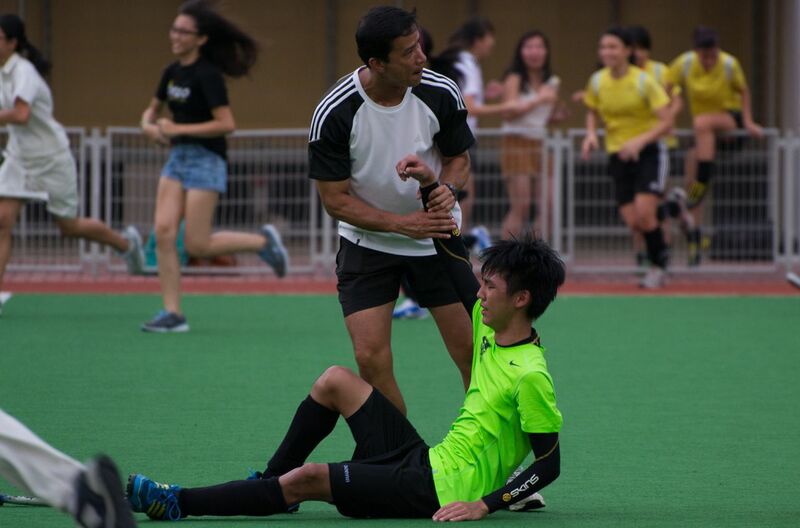 A bitter loss for Raffles Hockey. Ask any sportsman, and he’ll tell you that losing is something all athletes have to deal with at some point in their career. 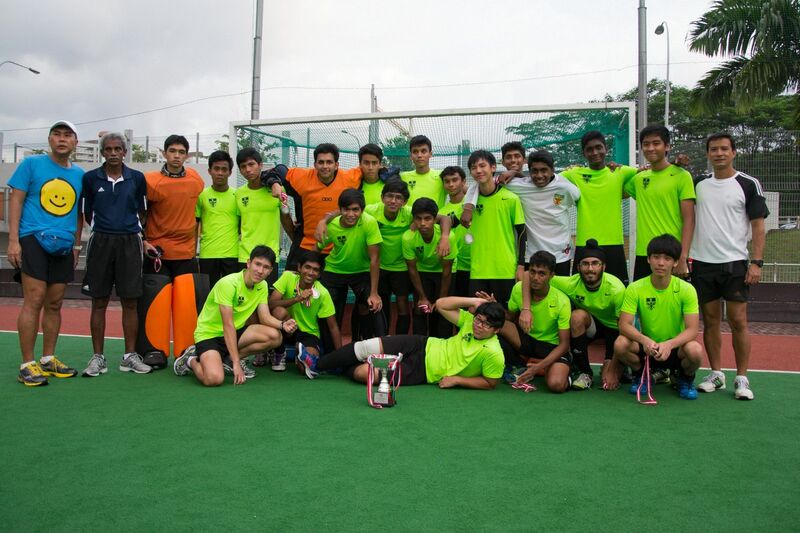 Though we may have lost the match, Raffles Press would like to congratulate Raffles Hockey for their fine display of teamwork and tenacity, as well as wishing them all the best in reclaiming the title next year.